Something has been missing from Zelda games lately. As an old school gamer it’s been a real downer for me. After all, Zelda is a beloved franchise and having something so iconic missing is a frustrating problem. Will Nintendo ever change this? I’m starting to wonder. This article contains spoilers for The Legend of Zelda: Breath of the Wild and some previous Zelda titles. Breath of the Wild has some changes to the Zelda formula, but these aren’t what gets to me most. Overall, there isn’t that wide mix of dungeons and that’s okay. Sure, there are the shrines that work as test rooms from Portal, but they aren’t dungeons per say. I could have completely ignored that Breath of the Wild had four traditional dungeons and Hyrule Castle to explore if one element was true. Ganon just isn’t in the game. He hasn’t been forever and it’s an infuriating part of the Zelda franchise that I’m surprised more gamers aren’t complaining about. Ganondorf isn’t Ganon. Like I get it, sure, he is, but he isn’t the Ganon I grew up with. For a game that has such a cartoony style and is full of Moblins, I have no idea how the game didn’t end with traditional Ganon from the NES and SNES Zelda days. What did we get instead? What happened? Why is Ganon now a literal pig? 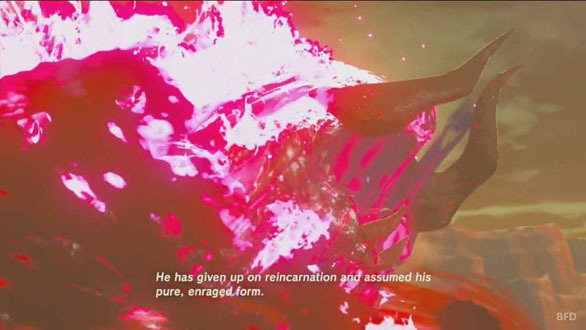 The game does explain that it is his pure rage form or what not and he’s given up on reincarnation in BoTW but ARGH!!! Moblin’s are awesome beast monsters and they’re not actual swines on all fours. Where in the WORLD is the trident wielding pig wizard of old? Was Ocarina that successful that it succeeds all other Zelda lore and we just don’t get that boss anymore? My heart skipped a beat when fan speculation was running wild about Breath of the Wild being based on Hyrule from the NES days. Death Mountain in the distance looked like art from the old manual. Was this it? The return to form I’d been waiting for? Even the story lead to believe something big was on the way. Instead you just fight spirit forms of Ganondorf in different flavors until you fight them mixed together and then battle Dark Beast Ganon. WHY? I never want to see Dark Beast Ganon again! I saved all of Hyrule and it’s strangely British Zelda only to be once again confronted by “Not-Ganon”. How does this happen? In Mega Man odds are you’re going to fight Wily. In Mario, even when it’s not Bowser it’s probably Bowser. In Zelda it’s red headed dude from the N64 days. What? No! Anyway, wasn’t he just the physical vessel for Ganon that one time? Sure I may be missing some of the lore there but I was still fighting Mr Pig Wizard in Link To The Past. I was ready to give Breath of the Wild an 11 out of 10. This was it, we’re outside the castle. Ganon has taken on his true form. Finally, I can take on my childhood villain yet again! Or… not. Even the art style would have worked. We didn’t need the more realistic boss of Ocarina for Breath of the Wild. We could have had the ACTUAL Ganon from the previous games. Yet somehow that didn’t happen. What is the appeal of Dark Beast Ganon? The fight was okay, but all it featured was riding around a giant pig on your horse. 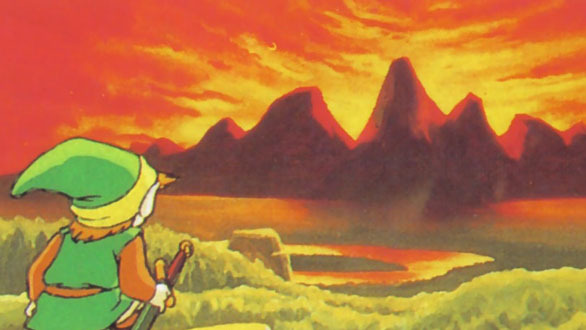 Is this the ending we were striving to avoid in Zelda 2 for the NES? Is Hyrule in danger of eventually being snorted out of existence by a giant pig? I want my Ganon back. Maybe Ganondorf is more relatable but I don’t want a relatable villain. I’m not supposed to feel sympathy for Ganon. Link is supposed to STOP Ganon. He doesn’t have to be some ginger wizard dude. Let alone, if you’re going full nostalgia, how do you miss the villain of your first game? The final dungeon of the NES Zelda will forever be the most iconic moment in gaming for me. Locked out by a forcefield, only able to get in by collecting the triforce, and THEN having this morbid white walled dungeon with unique music that lead to the final battle with Ganon himself in his original form. 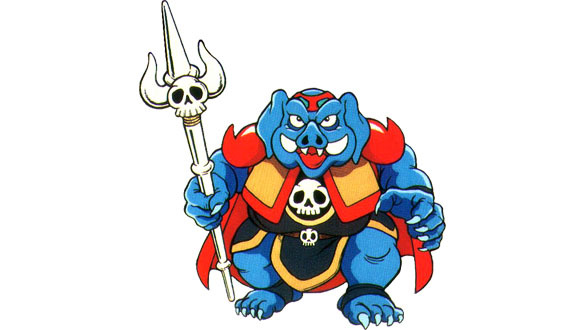 I miss that and it’s a shame we don’t see pig wizard Ganon in Zelda games anymore. Let alone even Smash Bros. The classic villains don’t exist besides Bowser. There’s no Ganon and no Wart from Super Mario Bros 2. Which also can’t be dismissed as a non-Mario title because Bowser apparently commands Shyguys now and Birdo is still in Mario games. So what’s up Nintendo? I haz nostalgia. Play up to it and take my money! Till then, thanks for NES Remix 1 and 2.